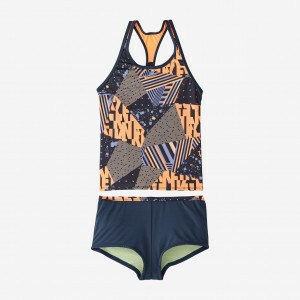 Nike Swim Girls' Mash Up Racerback One-Piece features racerback styling and a bold pattern. 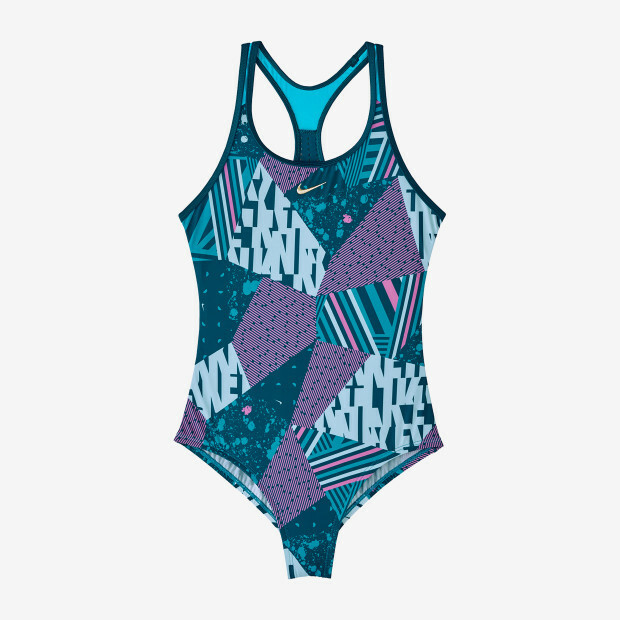 A sleek ergonomic fit enables free and natural motion, making it a great swimsuit for training or competition. 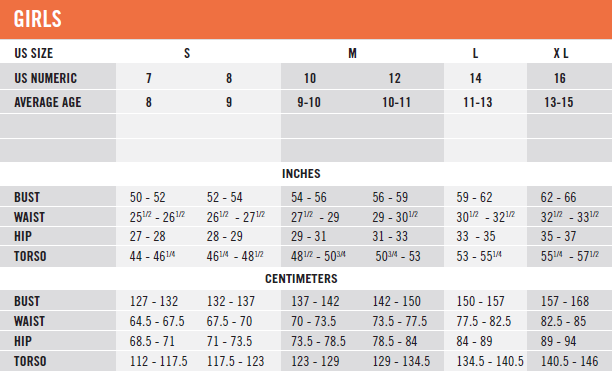 Flat-seam construction protects sensitive skin from chafing while mesh inserts offer enhanced drainage and breathability.